DIJUAL MIO SOUL CW TH.2008,WARNA SILVER,EX. WANITA,BODY MESIN OKE, 8,5JT, KM.2O RB-AN. YAMAHA. Model: MIO SOUL CW. : Bekas. Tahun buat: 2008. Kilometer:.Harga: Rp. 8,5 Juta. Harga Nego. contact:.Andi. No. Telepon: 085693370509. Penjual: Pribadi. Kode Pos: 13920. Kirim Email. Kota: jakarta timur. Lokasi: JAKARTA TIMUR. CW TH.2008 MIO SOUL SALE, COLOR SILVER, EX. WOMEN, BODY MACHINE OKE, 8.5 JT, KM.2O RB-AN. 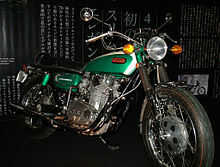 YAMAHA. Model: MIO SOUL CW. : Ex. Year created: 2008. Kilometer:. Price: USD. 8.5 Million. Price Negotiable. contact:. Andi. No. Phone: 085 693 370 509. Seller: Private. Postal Code: 13920. Send Email. City: jakarta east. Location: JAKARTA TIMUR.